First off, Brian and his family want to express a HUGE thank you to Mark Bowen for his nighttime bungee jump in Brian's honor! His daredevil feat raised $600.00 towards Brian's treatment! You didn't have to do it, but you did! Many thanks! Second, I can't tell you all the details right now (it's still sort of secret) but keep watching this space for big news about Brian and his future plans! Let's just say good stuff is in the works! But toward that end, we need to raise at least $10,000 more! Yes, we have a goal! I'll fill you in soon, but for the moment, spread the word to anyone you can! Personal donations, corporate sponsorships, government grants are ALL welcome! If you can send word of this website and Brian's situation to just one or two people, it will help enormously for Brian's stem cell therapy! And remember, stem cells are the ONLY hope for Brian right now. Every bit of medical wisdom we've been able to glean (and that's a lot!) offers no other option for his conditions. Brian is doing well. He remains in good spirits and is solely focused on getting better! Recently I published a book titled "Found Wanting" about a serial-killer paramedic (yes, it's fiction). I'm in the process of recording it as an audio book for Brian to listen to. He's been talking about it to everyone! All the best to everyone, and thanks! A big thanks to our fund-raisers in Ireland! Brian's sister Nevis Hogan wanted to pass along enormous thanks to all her colleagues at Eircom for raising €150 for Brian and to Ciara Storan Chawke for raising €175 in the Limerick mini-marathon! Your generosity and help is is apppreciated more than you can know! 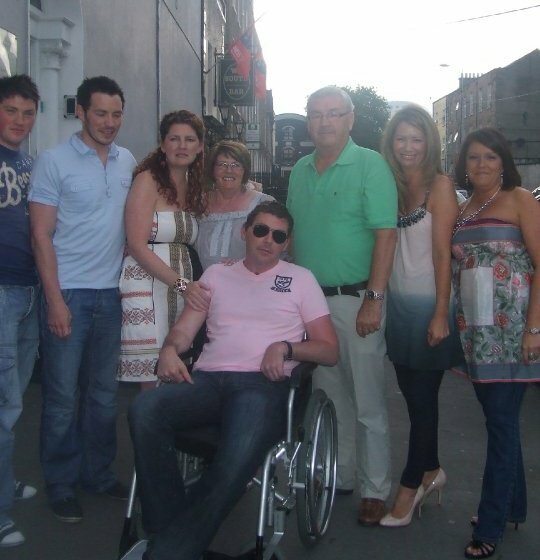 Brian is doing well, home to Limerick for a while after a stay in Dun Laoghaire for some intensive physical therapy! There's stuff in the works, but more details to come on that later. In the meantime, keep watching this space, and tell everyone you can about it! Click the "Tweet this page" link on the right to spread the work quickly and easily on Twitter! It's hard to believe, but it's been one year ago today (19 July) that Brian was first injured. He's made some amazing progress. If you've listened to him singing in the YouTube videos (http://to.ly/5zjm and http://to.ly/5zjo), you know this firsthand. But he has a long way to go. Your support, whether it's through donations, or visits to Brian and his family or just keeping up with this blog is enormously appreciated and keeps Brian and his family going day by day. Research for Brian's treatment is going slowly, but steadily. I've gotten several emails and phone calls from both facilities and patients who have received stem-cell therapy. Several different people I've talked too have been most helpful and hopeful for Brian's recovery. Many thanks to all who have responded! Brian has yet to see the Neuro-Ophthalmologist in Dun Laoghaire, so once that happens, we'll be in a better position to know exactly where to turn next! It may not necessary to go all the way to India. Promising results might be as close as Europe or North America! One patient's father said treatment for his son cost around $30,000 - so we may be much closer to getting Brian's therapy than we thought! Based on others' experiences with stem cells, results might begin to be noticed within just a few days of treatment! Still, Brian has a long way to go. Below is part of Grainne's (Brian's sister) email update on Brian. If you'd like to receive Grainne's updates in your own email, just let me know and I'll forward your address on to her. And last but not least - many, many thanks to Brian's latest donors! It's hard to believe that today, July 19, 2010, is the first anniversary of Brian's attack. We've all come so far, and we've watched Brian come even further. Getting a phone call the morning after Brian's attack is something you just never prepare yourself for. When you live away from "home", you always dread the phone ringing early in the morning, but nothing prepares you for bad news – nothing. I dreaded today, and I dread tomorrow, but a year has flown by. For that, we're all grateful! Brian has been in Ireland since May 8, and he's doing well in so many ways. I spent the last two weeks in June with him, and he's amazing. He's now engaged in Physical Therapy 4 times a week, but that's not enough for Brian; he uses the bike pedals at Beech Lodge, for over an hour every day. He's involved in several types of therapy, including music therapy. This is his favorite one, as most of you know he's a huge music fan. Brian had a tracheotomy for over 3 months, so his voice has changed, but it hasn't stopped him singing. As time goes on, we're hearing more and more about the severity of Brian's initial injury. He suffered several serious strokes in the early stages of injury, which is the reason for his left side paralysis. The "experts" said, "he'll never have use of his left side again, but you should see him ride those pedals! He's working hard on his upper left side too, but it's taking a while. While I was in Ireland, we hosted a Fundraiser for Brian. This was strongly encouraged by media, and friends, as a way for people to show their support for Brian. We're knee deep in research for Stem Cell treatment, but there are so many places, and with every success story, there are some horror stories, so we're not about to jump into anything without knowing as much as possible. Brian's blindness is the worst for him (and us, of course). Not a day goes by when he doesn't say, "do you think I'll ever see again"? It's like someone stabbing you with a spoon. The Fundraiser was a blast. We had planned for about 200 attendees, but we're pretty sure the turn out was more like 450 to 500! What a great night! Of course, Brian stole the show, over and over. To be honest, the turnout was a true testament to my parents. If you knew how much they do every single day, you would wonder how it was at all possible. My whole family works hard every day at taking care of Brian, but my parents are responsible for more than I can begin to explain. Dealing with the paperwork side of Brian's condition is a nightmare. Thought Brian lived and worked in the UK for over 9 years, the UK denied Brian any type of disability. We couldn't even get Brian into the Irish system until he was physically in the country, so we had to start the process in May, and it's only now starting to come together. We're a long way from getting it done, but it's a constant flow of paperwork after paperwork, after phone call, after meeting. 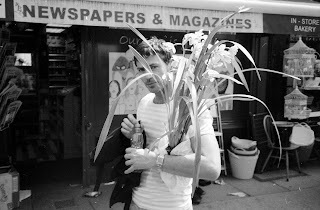 We've set up a blog for Brian, so we'll be putting these updates on there. It's a blog that you can comment if you'd like. Feel free to forward the link to your friends, or you can put it on your facebook or twitter, as a way to show support for Brian, and his ongoing rehab. Now, more than ever, Brian would love to hear from you. He's having a really tough time, and it's always good for him to hear words of encouragement. Even if you don't know Brian, you can email, or comment. We all have something to say, so if you want to say something – come on, say it! Just because Brian is no longer in England, it doesn't mean that he doesn't miss it. Nottingham is where Brian chose to live. He fell in love with Nottingham, and built his whole life there. Out of sight, out of mind, is easy for us, but for Brian, he's trapped inside his own body and mind right now, so if you can take the time to write a few words of encouragement – thank you, thank you. If you'd like to use the "donate" button on Brian's blog page, go right ahead. Every single penny goes into Brian's Trust account, and it's all for Brian's medical care. 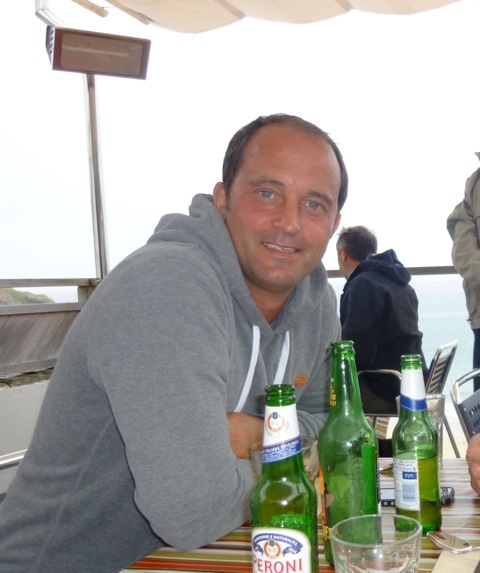 Stem Cell treatment is not covered by Brian's insurance, but we're not about to tell him "sorry, we can't afford to try EVERYTHING possible to give you your eyesight", so if you can help, go for it! I'll keep the updates coming. They're a little less frequent, but it's only because progress is slow. It's slow, yet steady, and moving in the right direction, and that's what matters. From my very grateful family to you and yours – thank you, thank you. Many thanks to Dr. Alan Glazier (@eyeinfo on Twitter) for helping to spread the word on his website, eyeinfo.wordpress.com! 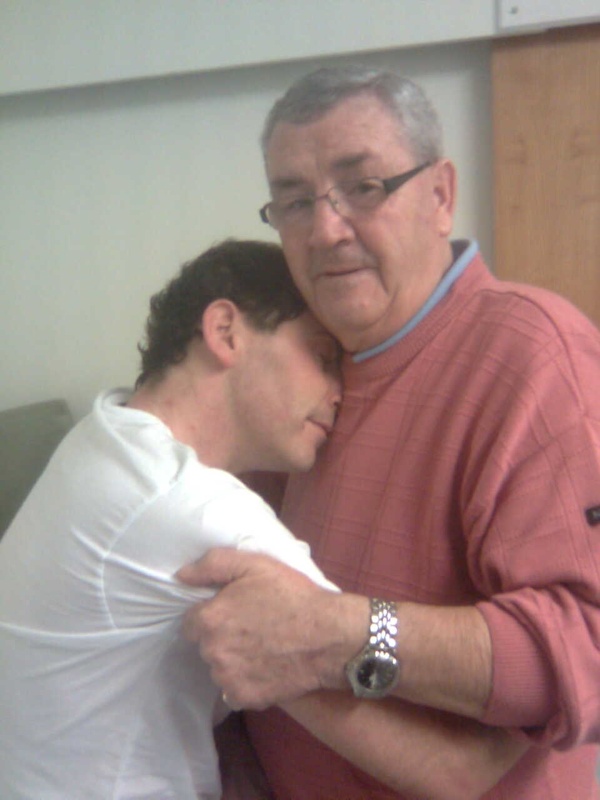 He's put up this special post on his blog dedicated to Brian and the research we've been doing to get the particulars about stem cell treatment! It's people like this and all of you reading this page that will help Brian and others like him to regain their vision and live a more normal life after such debilitating injuries. On behalf of the Hogan family, myself and especially Brian Hogan, Jr. - Thank you, Dr. Glazier! Spent the last couple days researching stem cell therapy. We already know the basics of what is involved, the difficult part has been trying to find a facility or hospital that actually performs the procedure. If you're reading this post and you are involved in stem cell treatment, or you have had stem cell treatment yourself, I'd love to hear from you! Brian has an appointment in Dun Laoghaire this month with a Neuro-Ophthamologist, so I sure some of our questions might be answered then, but if not, then Brian needs your help with information! Who performs stem cell treatment for optic nerve atrophy? Where will Brian need to go to get it? How much does it cost? What is the most likely outcome for Brian? How many people have been treated and what was their outcome? How can we contact these people and facilities? Post your replies in the comments, or feel free to email me at sfitzmorris@gmail.com. Thanks very much! And if you have any info on the specifics of stem cell therapy mentioned above, email me or post in the comments! Your continuing donations are being put to good use in saving for Brian's therapy! It's taking a lot of work researching stem cell treatment for Brian's blindness, but your donations and support are helping make it all worth it! Every penny is going to Brian. So far, this website has raised $1884.65! (after PayPal fees). Thats €1492.20! Thank you for your help! By the way, the fundraiser Quiz Night raised over €10,000 for Brian! We expected about 200 people, but over 500 showed up for a great night! Many thanks to the Strand Hotel for their donation of the Shannon Suite for the party! By the way, your bartenders are the BEST! Brian is doing well. He's kept busy with his physical therapy, music therapy and frequent visits from family and friends. He's able to get himself out of the car on his own, and can walk a bit too! His mind is a sharp as ever; if you go visit him, grab a cup of coffee and enjoy the stories he has to tell you! He'll keep you in stitches laughing! Brian also has a great friend at the Neuro Rehab in Bruree, Dave South. He's been wonderful in keeping Brian company when the family can't be there. He'll be reading this to Brian, so Dave, good man yourself! You are very well spoken of in the Hogan house! 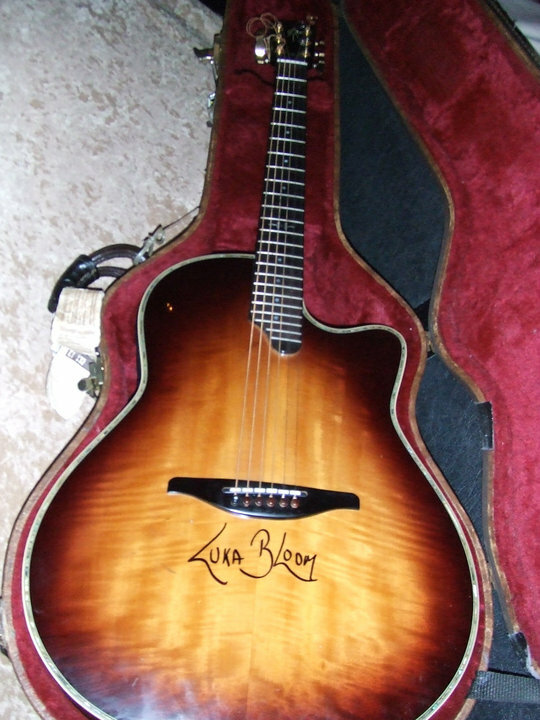 In other news, we're still waiting for bids on Luka Bloom's guitar! See the photos of this terrific instrument below. If the idea of an auction scares you, then think of it as making an offer! Remember your offer goes to help Brian get his sight back! And if you make a ludicrously high offer, we can throw in the shipping! Own a bit of musical history! Again, thanks for all you've done for Brian. Please use one of the links in the right-hand column to alert others to this website via Twitter, Facebook, Digg, StumbleUpon or any of the social networking sites. Keep spreading the word! Fwd: More Guitar pics! You can own Luka Bloom's guitar & help a wonderful person! Oops, got delayed in posting more pics! Sorry! 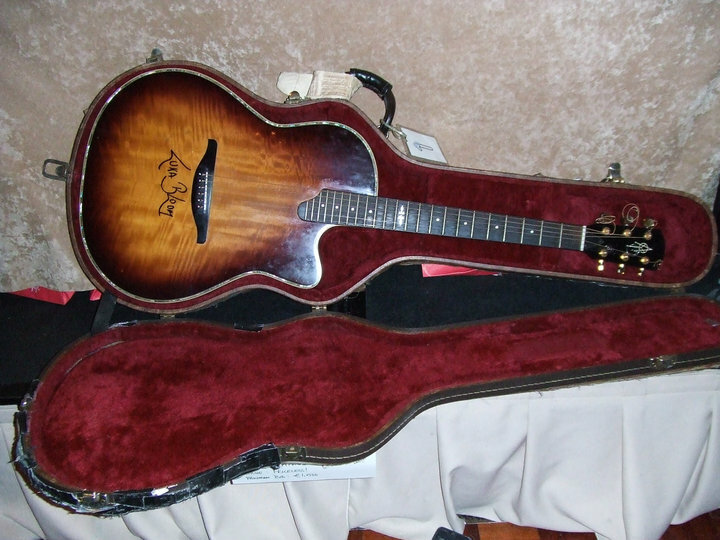 Luka Bloom's guitar is a 20 year-old Alvarez acoustic guitar in PERFECT condition! Bid on it now to acquire this piece of musical history. Auction goes till the end of July (see the next post to view the details of the auction). Along with owning this one-of-a-kind treasure, you'll be helping Brian to regain his sight! Everybody wins! Auction for Luka Bloom's signed guitar to benefit Brian Hogan! Grainne & Sean finally arrived back in America after a very good visit with Brian in Ireland. 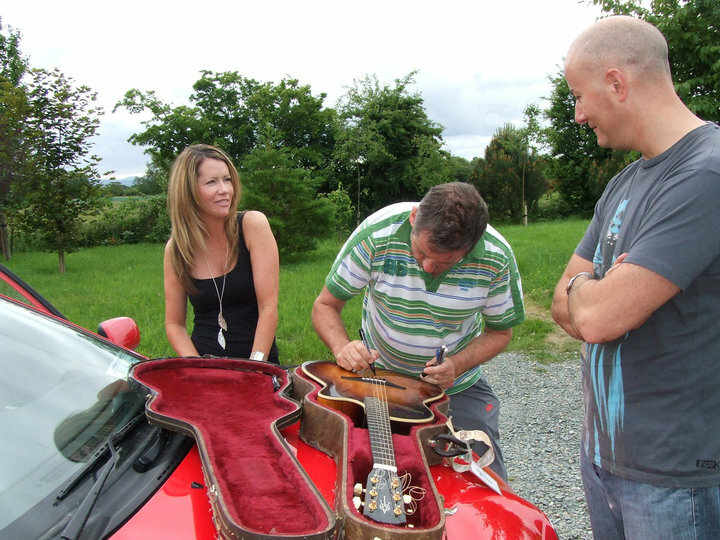 Here are the photos of Luka Bloom signing his guitar he donated for Brian's fundraiser. The guitar didn't sell, so it's being offered for auction here online. Luka specifically said that the guitar was to be auctioned for no less than €1500.00, so we're starting the bidding at that. If you need to convert your local currency to Euros, there's a currency converter at the very bottom of this page. There will also be more photos of the guitar posted later on today. If you'd like to find out more about him, here's the link for Luka Bloom's website - listen to his fantastic music! A few words about the guitar: it is in MINT condition! Not a ding or scratch anywhere and the sound is absolutely... well, musical. The carrying case is also one of the attractive features - it's been all over the world and has the most beautiful scars to prove it! To bid silently on the guitar, send an email to sfitzmorris@gmail.com, not via the PayPal button on this page. I'll update the current bid daily. Be aware that shipping is not included in the bid, but if you want to calculate the shipping yourself and choose your own method of shipping, we'll be happy to ship it whatever way you want. Just be aware that the guitar will ship from Limerick, Ireland, so choose a method that is available there. We will notify you by email of the price of shipping if you would prefer us to handle all the shipping arrangements. Alternately, you can drive on over and collect it yourself (the address will be provided to the highest bidder by email). Since this is a fundraiser for Brian Hogan, there can be NO REFUNDS on your winning bid.The auction will continue for one month and will close at midnight Monday, 1 August, 2010, UCT (Greenwich Mean Time). The winner will be announced on this site and via email at that time. If the funds for the winning bid have not been received within 48 hours of the close of the auction, the next highest bidder will be notified and that will be the winner. And of course, outright donations are always accepted via the PayPal button on the right-hand side of the page. Luka Bloom signing his guitar for Brian and a lucky winner! Brian's sister Nevis Hogan and Luka Bloom. You can be the highest bidder on this terrific and beautiful instrument! Some of the prizes at Brian's fundraiser, 24 June, 2010. 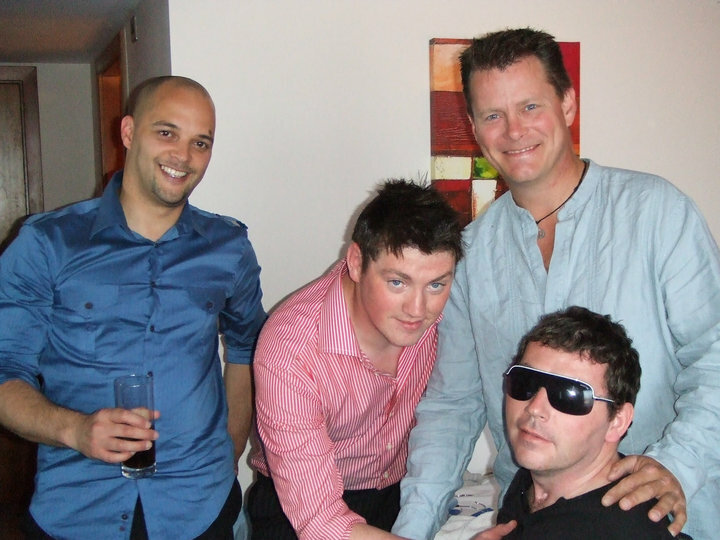 Brian Hogan, Jr. with Dennis from Nottingham, his brother Shane Hogan and brother-in-law Sean Fitzmorris at the fundraiser 24 June, 2010. You can help him lose the dark glasses and see again! Isn't that worth your donation, no matter how large or small? More donations to thank you for! I said we'd have the photos up of Luka Bloom's guitar; sorry, just haven't had a chance to get it done yet. But we should have it up by tonight! In the meantime, your continuing donations are so greatly appreciated! Last night I visited with The Man Himself, and Brian was overwhelmed at how much generosity has been shown to him from this website and the Quiz Night Fundraiser. He is making impressive progress. Last night he was showing us his sit-ups & ab crunch exercises and we practiced a few new stretching techniques. Brian continues to impress us with his memory - it's come back with a vengeance. He was reciting poetry from memory; we asked him all the trivia questions from the Quiz Night Fundraiser and he got nearly all of them right! A few hours later, we asked him the trivia again and the few questions he had gotten wrong earlier, he knew all the answers to the second time around! His memory of people, places, events, conversations... almost anything comes back to him with near-perfect clarity - almost as if he had never been hurt. But of course, he was hurt. It's heartbreaking that with his fabulous memory, he still can't see. Or that such a brilliant mind is trapped in a body that needs help doing even very basic activities. There is hope for Brian - that's the whole point of this website. You can be a part of it by making a donation, no matter how big or small. Even if you can't donate, you can help Brian by forwarding this website to everyone you can. All our donors are amazing people. You will always have a special place in our family. Brian's fundraiser last night took in just under €10,000! 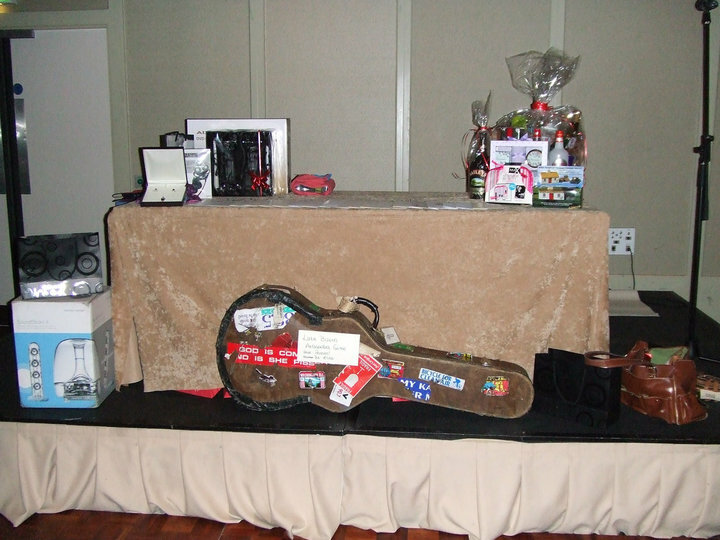 Some fantastic prizes were given out, and there were some silent auction prizes that went for a pretty penny! In addition, this website has recieved a net total of $1,460.70 (€1,186.41)! Great things are happening for Brian! He was in great spirits for the entire thing; they even played a recording of a couple of Brian's songs - everyone cried! Many thanks to the Strand Hotel for the Shannon Suite, the great food and the terrific bartenders! Also to everyone who donated prizes, their time, effort and money all for Brian's wonderful cause! 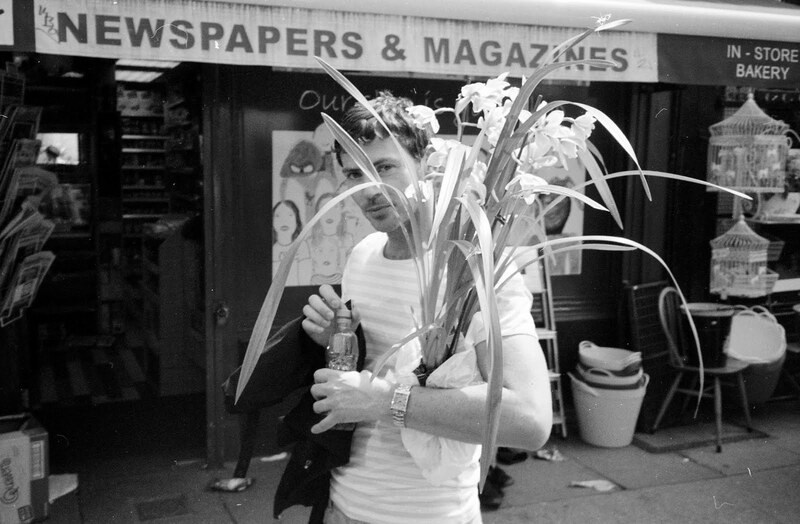 Now- another matter. The fundraiser isn't over! Not all of the silent auction items made the minimum bid. Therefor the auction will be continued here! 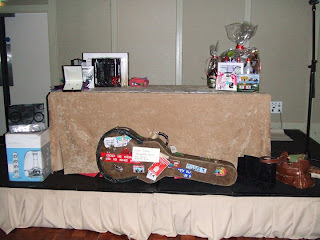 The top item will be auctioned off here online - Luka Bloom's guitar, donated and signed by Luka Bloom! Many thanks! And there'll be photos of the party and the items for auction up here within the next day! Brain's fundraiser a smashing success! It's nearly 3 am after Brian Hogan's fundraiser at the Strand Hotel. I can't give you a tally on the grand total taken in for Brian just yet, but I can tell you it was a good dent in it! Much fun was had by all during the quiz, many prizes were given out, and the band played on into the wee hours. And Brian himself, the Man of the Moment, held court throughout the evening! More details & photos to come! Also, some very valuable silent auction items were not sold, so those will be available on this site very soon! Watch this spot for some great items you'll definitely want - and every penny goes to Brian's care! Even if you don't want or care about any of the wonderful prizes available, you can still contribute to Brian using the PayPal button on this site. Even if you can't contribute, you can still help Brian by spreading the word! Email your friends, use one of the social networking links on the right of this page, or just tell your friends about Brian and this website! Thanks again for all of Brian's supporters! Many thanks to Brian's latest contributors! Hello from the land of Guinness and Tayto! Just a quick update, now that I've seen "the kid" himself, in his "new habitat". Brian was really excited to "see" me. He kept introducing me to staff and other "inmates" over and over. I'm sure they were sick of shaking my hand. I arrived in Ireland with absolutely no luggage, so I had been in the same clothes for almost 36 hours. He wouldn't have minded if I visited him in a purple velor suit. We had a great 1st day together. His mood was fabulous. Toward the end of the day we sat at the computer and I started reading the early updates to him, along with all your responses. I'm not sure how I held it together, as some of those updates were quiet emotional, but I managed it. Brian kept saying "well done, well done, now tell me who responded"! If you think he doesn't hear the responses - wrong. He loves all the details! So don't be afraid to hit "reply" and tell me what you're thinking. Most of the time Brian is in good form, but when he's sad, it's heartbreaking. He just hangs his head and says "I'm so sad". The only upside to him not being able to see - he can't see us crying. I was able to compose myself until yesterday, and then the heavens opened and I thought they'd never close. Feel free to send that link to as many people as you'd like. Every bit helps, and you never know who's out there that know something about the right kind of treatment for Brian's eyesight loss. Also, you never know who's dying to leave they're fortune to someone deserving! Will email everyone again soon. From my family to yours - "thank you". More thanks for your help! Brian's received more donation! Huge thanks to all! We have a long way to go, probably close to a million dollars for his stem cell therapy. But EVERY donation, no matter how big or small, is a blessing to help this fine young man get his sight back! Please forward this website to everyone you can! Your generosity will not be forgotten! Brian & his family- together at last! Here's a wonderful family portrait. Brian's sister Grainne is visiting from America, a chance she hasn't got often enough! Shane, Jonathan, Grainne, Phil, Brian Sr, Nevis & Siobhan. And of course Brian, the Man of the Moment, front & center! The bank information is also on the image of the Fundraiser flier below. In just three days since starting this website, Brian has received five donations totaling $254.79 (€207.11)! Thank you for your wonderful generosity! It's a great start for such a worthy individual. As of today, Brian's sister Grainne is winging her way to the Emerald Isle to visit her brother for what is sure to be a joyful reunion. 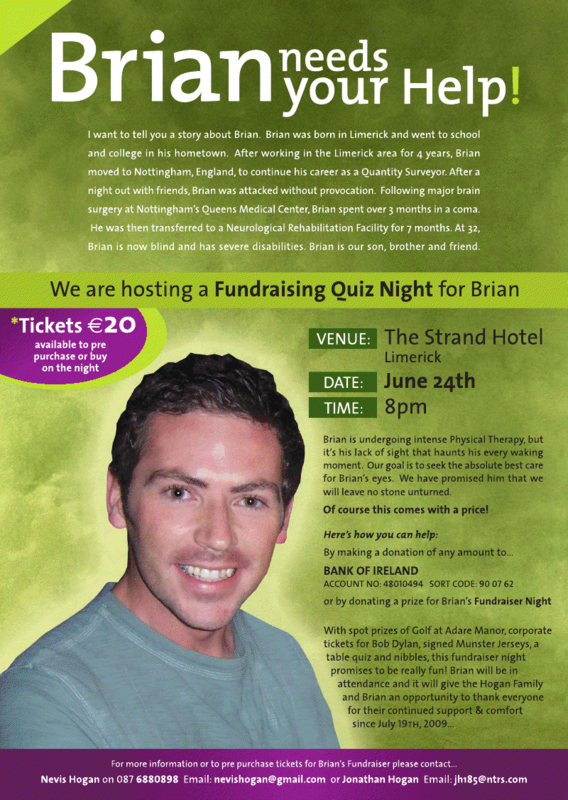 His first fundraiser in Ireland takes place next week, June 24, at the Strand Hotel in Limerick (see the flyer below). If you can go, please do! A fun night is sure to be had by all! If you can't attend, you can still be part of it - the first proceeds from this website will be presented to Brian then! He and his family are already overjoyed by the generosity of people like you; let's keep it up! Till next time- hope to see you at the fundraiser! Watch this TV interview with Brain & his father and sister. Then come back to this page, view his photos, read his story - and realize that any contribution you make, no matter who big or how small, will make a difference for the better to all these wonderful folks! Here's to Brian seeing again! If you'd like to comment on this blog, please do so! 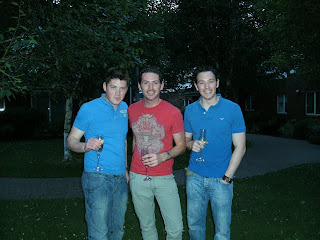 Brian (center) and his two younger brothers, Shane (left) & Jonathan (right). Both spend time every day helping their big bro! 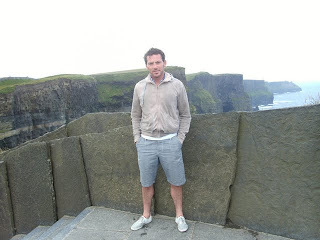 Brian at the Cliffs of Moher, Co. Clare, Ireland. At Linden Lodge, Brian's rehab facility in Nottingham. Brian and his dad, Brian Senior. Brian out and about back in the "normal days." What a good-looking, happy fella! We'll read your comments to Brian as his "fan mail"! He loves it! The article can also be found by clicking here. "THIS case is a tragic one after a night out enjoyed by all," wrote Detective Constable Emma Neal, as she recalled the judge’s words in the case of a young man left blind and severely disabled when a single punch rewrote his life story. DC Neal, a member of the Anti-Corruption Unit in Nottinghamshire, Britain, had been working on Brian Hogan’s case since July 19, 2009, the date 33-year-old British man Martin Slack delivered the blow that blew Brian’s world asunder. DC Neal had attended Slack’s sentencing hearing on February 26 last and recorded what she could for the purpose of emailing Brian’s 38-year-old sister Grainne, married and living in New Orleans. Recalling Justice David Clarke’s words DC Neal wrote: "An incident occurred in the street where this defendant, aged 33, struck a blow at the face of Brian Hogan. It connected near the left side of his jaw, it was a punch, a single punch, not delivered with intent to do such serious injury. No one present thought it would cause such serious injury but this caused Brian Hogan to fall and bang his head on the pavement." 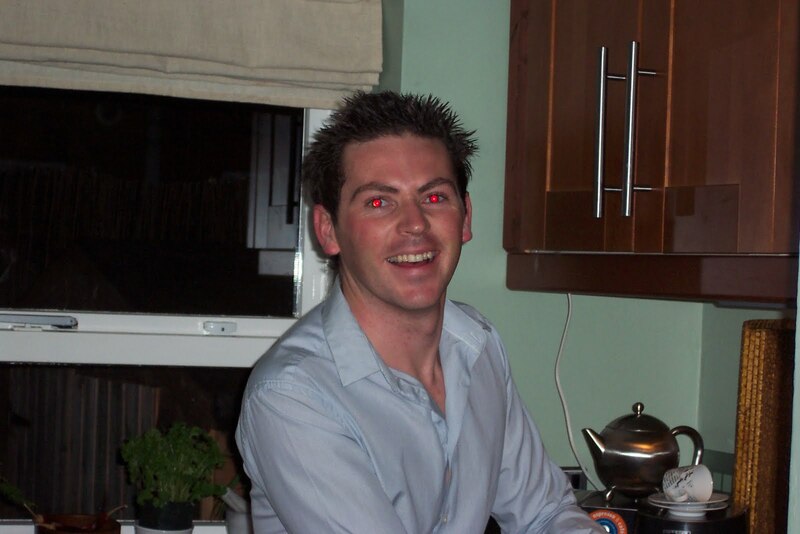 Less than 24 hours later 32-year-old Brian Hogan, senior quantity surveyor, from Russell Court, Ballykeefe, Co Limerick, was in a coma that lasted three months — and given a 10% chance of pulling through. Brian had been living in Nottingham for nine years and was working for the Bowmer & Kirkland Group, one of the largest privately owned construction and development groups in Britain. He had emigrated at age 23, having completed his studies at Moylish College in Limerick and having worked for a time for house builders Michael Lynch Ltd, in Ennis Co Clare, and Kirby’s in Limerick. He was very happy with his lot, according to his father, Brian Snr, and had made a nice life for himself in Nottingham. On the night normality went out the window, Brian was in Nottingham city centre with a bunch of friends, celebrating, at a distance, the wedding of friends who had married in the States. They had been to a club and were returning home. Slack had been talking earlier to a couple of girls in the group and when they were heading back to Brian’s house, asked if he could join them. At the behest of one of the girl’s, Brian said no. Slack, who had consumed nine to 10 pints, pulled Brian and punched him hard to the face. Brian fell and hit the right side of his head. "It is clear he was unable to break his fall and fell backwards hard on to the pavement," the prosecution said. 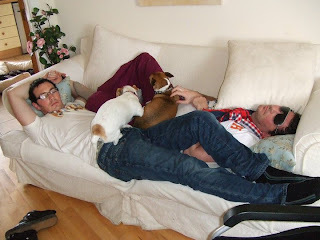 Brian lost consciousness for two minutes and his friends called an ambulance. The paramedics arrived, but Brian came to and insisted he felt ok. He got out of the ambulance, and went home. He did not report any pain, dizziness or nausea. Some of his friends stayed over in Brian’s house that night, among them a doctor. He vomited during the night but nobody realised just how sick he was. By noon the next day, he was unconscious. At that point, friends called an ambulance and he was taken to Queen’s University Hospital (QUH) in Nottingham. Doctors found he had suffered bruising and bleeding in the brain and a fractured skull resulting from the fall. Back in Ireland, Brian’s father and mother, Brian Snr and his wife Phil, were winding down at the close of a holiday in their mobile home in Spanish Point, Co Clare, when Brian Snr received a phone call. It was a friend of his son’s calling from Nottingham and advising them to return home as quickly as possible. She said there had been an incident and that a doctor would be calling them from QUH. The call came to Brian Snr’s mobile before they arrived back to Ballykeefe. "It was a consultant. He told us Brian was in a coma. We got a fair shock," Brian Snr said. Brian Snr describes the period immediately after receiving this news as "a bad, bad time". "We contacted the rest of the family, they all rallied together and we made arrangements to travel to Nottingham. There were 15 or 16 of us and we all stayed in Brian’s friend’s house for about a fortnight, with the exception of the first couple of nights that we spent at the hospital. Everyone of us was there most of the time." Since then Brian Snr and Phil, and Brian’s sisters Siobhan, 40, Grainne, 39, Nevis, 37, and brothers — twins Shane and Jonathan, 27 — have taken turns to be with their son and brother. His mother and father spend half the week at home and half of it in Nottingham and when they’re not there, friends living locally pitch in. Grainne has travelled from New Orleans on four occasions to be with her brother. Brian was victim of a most unfortunate set of circumstances on the night of July 19. "That particular night everything went against him. He hadn’t spoke to his attacker, he didn’t know him. He was on his way home when your man threw a punch. There was a doctor in his company, but she didn’t spot anything wrong. It was too late by the time he arrived at the hospital next day," Brian Snr says. Perhaps the most regrettable element in the overall tragedy was the fact that Brian regained consciousness long enough to go home: had he remained unconscious and been admitted to hospital the subsequent brain damage he suffered may not have been as extensive, or indeed, may not have occurred at all. BRIAN came out of the coma very slowly, but even the tiniest improvement was cause for celebration. "He began by first moving his fingers, then his toes; his eyes would flicker. We celebrated all of these things. We took it as a sign that he was recovering," Brian Snr says. For about a month after coming out of the coma, Brian couldn’t speak. His speech has returned gradually, but is not quite what it was. Speech therapy is an important part of his rehabilitation. Tragically, Brian remains blind. "The loss of sight is a killer for him," his father says. "Some days he talks about buying an Audi A4 and then you wonder if he’s forgotten he can’t see." Brian is aware of the incident that left him where he is now, but doesn’t remember the assault itself. Despite what his family describe as "an unbelievable sense of humour" he is getting increasingly impatient with having to stay at Lindon Lodge, a 21-bed rehabilitation unit within Nottingham University Hospital’s city campus, where Brian was transferred when he came out of the coma. His sister Nevis talks of his frustration. He can no longer read the beloved James Herriot books of his childhood, but listens to them on CD. "It takes him back to when he was a teenager reading and the laugh he would get out of James Herriot’s stories," Nevis says. "Every day he tells me how scared he is that he’ll never see again. He looks for constant reassurance that we will leave no stone unturned to get his sight back." At one point, he tried to bribe his sister to bring him back to his house, 7km away. "He just wanted to get out of the hospital," Nevis says. Brian was a very active young man before the assault, not so much into sport, but keen on the gym, working out three or four mornings a week before heading into work. His father believes his fitness stood to him after the assault and helped him to pull through. Brian’s doctor at Lindon Lodge has set a release date of May 5, at which point his family must find somewhere else for him to stay and continue his rehabilitation. They have begun the process of applying for a place for him at the National Rehabilitation Hospital in Dun Laoghaire. In the meantime, they are hoping to place him in a rehab unit closer to home, in Bruree, Newcastlewest, Askeaton, Co Limerick. They are also hopeful that a Limerick-based eye-specialist — who has had success in restoring sight to patients with acquired brain injury — will be able to work his magic to improve Brian’s eyesight. So far, progress in Brian’s overall condition has been good. "At the beginning, the doctors said the best they could do was to get him back to 70%-80% of the Brian we knew before the incident. But they seem delighted with the progress he has made. Only weeks ago he had to be lifted out of the bed with a harness. Now we can sit him up, stand him up, turn him around. The improvement is huge," Brian Snr says. Mentally, Brian has cognitive difficulties, but his intellect is preserved. This is a blessing, but also a curse. "He knows what he has lost. He talks about getting back to work. At the moment, he spends his days doing very little and that is very hard for him. He’s a very outgoing kind of fella," Brian Snr says. 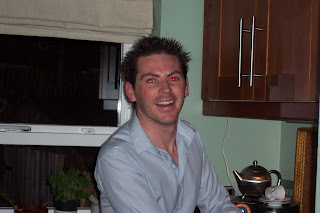 He was the life and soul of the party, always positive, always had something going on whenever he came home to visit his parents in Ballykeefe. His father misses that energy. They caught a little of the old Brian during a recent brief outing from Lindon Lodge. "We went to a club, about 100 yards away. He had half a pint and he started a sing-song. I thought we would be thrown out," his father says gleefully. Brian Snr retired from the ESB this month, just slightly ahead of schedule. He had plans — to buy a camper van and travel wherever fancy took him, together with his wife of 41 years. Those plans are now on ice, but not abandoned. "Who’s to say it won’t happen?" he asks, "just not as soon as we had planned." This optimism is also evident in his reaction to what happened to his son. "If the same thing happened to any of our kids in the morning, we would go along with whatever challenges it brought, and as long as we are here, we will continue to do that. We’re very positive about everything, and all of the family is united in this. There is no room for negativity." The family is looking forward to bringing Brian home, albeit Ballykeefe will require considerable adapting before it can cater to his needs. Askeaton and Dun Laoghaire are likely to be home in the short term, although Brian’s sister Nevis is adamant it will eventually be Ballykeefe. "Wherever we go, Brian will be coming with us, he’s not going to be put in a home and forgotten about," she says. "We are all very positive and looking forward to getting Brian home, we are very positive about the future and we think we can get Brian back to where he was," Brian Snr says. This positive mental attitude is key to the family’s forgiveness of Brian’s attacker. On the morning of Slack’s sentencing hearing, they hugged the accused’s father. "He was very upset. He kept apologising for his son. He cried the whole way through the hearing, for about three-quarters of an hour," Brian Snr says. Brian Snr had decided from the outset that anger towards Slack was a waste of energy and that his focus would be on Brian. "Even if he [Slack] had gotten off, I don’t think it would have affected us, we weren’t focusing on that. We didn’t feel any ill-will towards him. He struck me as the kind of fellow that could easily get into a bit of bother. A lot of fellows get involved in things like that. "I asked a police woman how bad the assault was on a scale of one to 10, and she said it was right down at the bottom." Slack got two years, three months for his crime, half to be spent in custody and the other half in the community. He has previous convictions: one offence of common assault in 1995 where he pushed someone’s arm, and a second offence of actual bodily harm the following year when he punched someone in the face in the street. At the sentencing hearing, Slack’s barrister described his action as "three seconds of madness". He said Slack had read the transcript of a DVD prepared for the court, featuring Brian, which had caused him to break down in tears. DC Neal, in her account, said the judge "continually made comment about how dignified, intelligent and balanced Brian had been in his DVD". Brian’s father said his son was reliant on nursing staff but still had the ability to cry "giant tears from eyes that can’t see anymore". The judge read out one of the quotes from Brian’s DVD. "I hope the defendant is made to realise that you don’t solve problems with using violence," he said. He also read out what Brian said about the defendant along the lines of "I’m sure he has a family that love him also". IN HIS summing up, Justice David Clarke said "a case of a single punch, in the street, is the course of violent incidents in city centres at night, punches that in the vast majority of cases, do not cause serious injury but, which can, as in Brian’s case, have devastating consequences". After the hearing, Detective Sergeant Justine Wilson said: "This incident shows how one reckless and violent act can have the most devastating consequences on a life." As Brian’s family left court that morning, DC Neal spoke with mum Phil. "She looked over to Slack’s family and expressed that she thought she would like to speak to them. I told her that was something for her to decide on and with her usual warm and caring nature she went over and spoke to them, along with your dad," DC Neal wrote in her email to Grainne Hogan. "I heard Slack’s dad say how sorry he was, they spent a few minutes talking, hands were shook and it was all very good-natured. Your mum later said she was happy that she had done that and I think it made her feel a lot better. Your parents are really incredibly brave and selfless people," DC Neal concluded. Add to those qualities incredibly accepting. "I know what happened to Brian is really very very unfortunate but it is the type of thing that happens in the smallest of villages on a Saturday night," Brian Snr says. He wants parents to be aware of this, and it is his motivation behind telling his son’s story. "You bring your kids up as best you can, but once they get to a certain age you can no longer tell them what to do — you can only advise them. "So advise them to stay away from the city centre, or if they go there, to get a taxi home, and to take precautions and look out for each other and if someone gets a bang to the head, don’t take their word for it that they are okay. Everyone, including Brian, thought he was fine. He was not." * A fundraising event for Brian is being organised for June. For more details contact Nevis Hogan by email at nevishogan@gmail.com. There are also plans to set up a Facebook page for those who would like to track Brian’s progress.